Things will come into your life when you are ready for it. Sometimes we are not ready, think we are not ready, and even filled with doubt, which may certainly attract the very thing we are trying to resist. But, the way of attracting the right people and events is to primarily have a positive intention and goal of how you want to accomplish it. The right people will then come to you without you needing to search for them. Hi everyone! This video is going to be about what it means by things will come into your life when the time is right. This has been something I’ve mentioned many times in previous videos, but let’s discuss what it actually means. Someone did mention in a video I did about relationships asking what I meant by the right person will come into my life when the time is right. This too will tie into what we will be discussing. Essentially, things will come into your life when they are meant to and you are to realize this and take life up on the offer. But how does this occur? I’m sure most, if not all, of us can think of a time when we were looking for something or someone, and all of a sudden there it is right in front of us. However, this of course doesn’t always work in our favor, and neither does it happen with all positive things we want in our life. Rather, it can be our biggest enemy sometimes and actually work against us. What I mean is, we can bring into our lives the very things we don’t want at just the time we don’t need them. For instance, if you are having financial worries, perhaps some big expenses just unexpectedly show up at the worst possible time. Tires in your car went flat, health insurance premiums going up, whatever else. I know this sort of thing has certainly happened to me and the more I focus on how little money I have and the expenses I have coming up, it brings more negativity and shame associated with spending. Here is where it all originates, the law of attraction. I have a video dedicated to this if you would like to check it out. There will be an annotation and a link in the description. 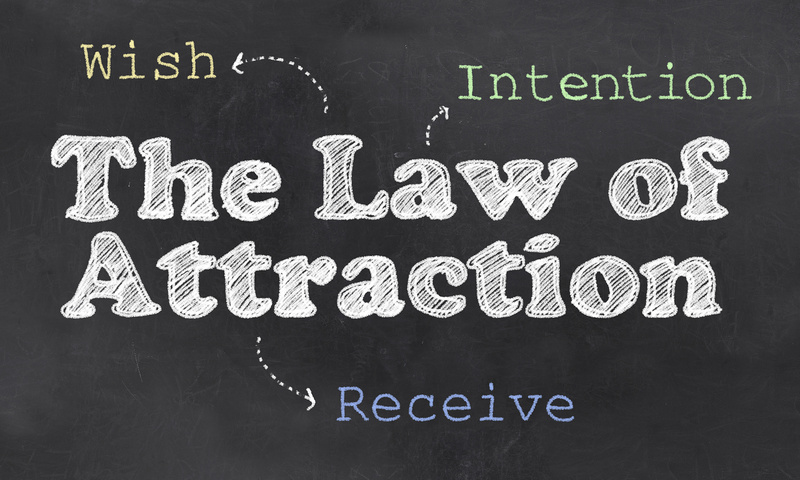 [Law of Attraction] Essentially the law of attraction means that whatever you think about and desire, and have an intention in place to acquire it, you shall receive it. This is an incredibly powerful tool you can utilize for your own health and benefitting your life. There are always things that are in the back of our mind. Things we worry about, think about, even things that are buried so deeply that we are not even consciously aware of them but we face the consequences of what they do to our conscious life. A perfect example is someone who has experienced severe trauma and has anxiety and depression. They are completely unaware of what trauma occurred, but are living with what it’s done to them by having it haunt their subconscious and cause them anxiety. It’s still there causing them problems in their mind, but they are completely unaware of it. This is why you have to first find yourself and who you are. Understand why you behave the way you do, as well as what subconscious baggage you are carrying since you will manifest scenarios around you that reflect what is going on in your subconscious. When you truly believe something and it becomes true to your subconscious, then that’s when it manifests in your conscious life. Often times we are filled with doubt so what we actually manage to manifest in our life is that very doubt. In other words, what we manage to accomplish is the very opposite of what we desire, which we don’t believe will be a reality, and thus is validated by what we do manage to manifest. The doubt, resistance, and negativity you have within you, makes the law of attraction work against you. 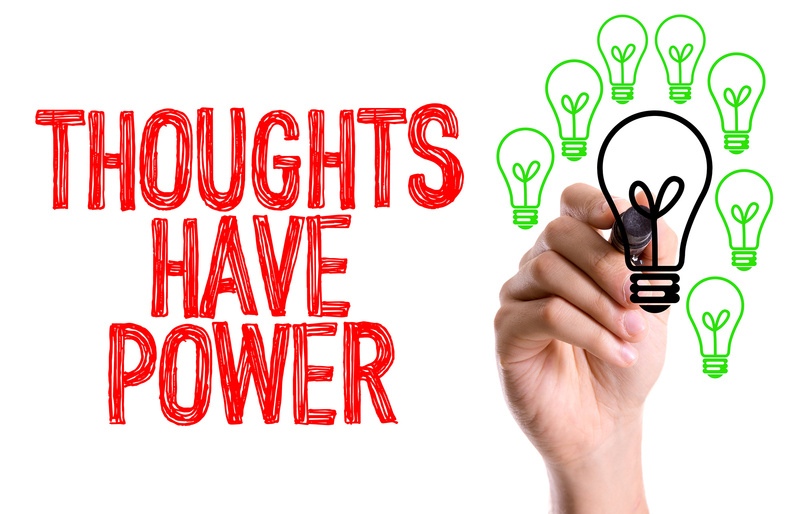 Or rather, the law of attraction is working in your favor and is bringing the things you are thinking of, but your thoughts are of negative intent which is why things are not working out the way you consciously want them. So, getting a positive intent in your subconscious can be a rather tricky feat for some, but it’s not difficult when you learn to relax your mind and go into your subconscious to give yourself positive suggestions. Hypnosis can work wonders at this because it allows the mind to become relaxed, while thoughts are let go of, followed by positive intentions being repeated to the point that the person actually believes them as true. And the honest truth is, your thoughts have power. What you think about is what you manage to bring into your life. You determine how your life plays out by what you think about. Let’s go back to the earlier example where someone asked me about how friends and romantic partners can come into your life without you needing to look for them. It could be as simple as bumping into someone while walking. It can be a life changing encounter. Since many of our lives are on the Internet, this can be even more complex. Often it’s due to a synchronicity that two people will meet. I have a video dedicated to synchronicity as well so there will be an annotation and a link in the description. [Synchronicity] A synchronicity essentially means that things happen for a reason and that there are no coincidences. Rather, that there is meaning in everything that happens in your life, regardless of how small or large it is. From my own experience with meeting others, what’s happened for me is that someone will stumble upon a video of mine, sometimes through a synchronicity where something out of the ordinary happens and they had a limited time window to actually find me. Then they listen to what I say and find me intriguing. At that point, I’ve come into their life, but I don’t personally know them. That is, until they reach out to me. Then when I see them, often there is an instant connection that I cannot explain before there are any spoken words, and it just goes from there. At that point, they’ve come into my life, and thus we’ve both come into one another’s lives. I’ve had many connections like this, and while most aren’t romantic in nature, they have turned into friendships or life changing and learning experiences. I find it rather intriguing and there is always a reason and something to learn from each new encounter that happens. All of what I just described has to do with synchronicity and the law of attraction. For instance, let’s say I want to work on healing from a specific past event and memories or learn something new, and here comes said person into my life the moment I begin to work on it and they have managed to teach me, change me, and heal me in just a short time. Even if all communication stops after that point and I was deeply hurt by it, there is even something to learn in the departure. I’ve found meaning and have learned so much from the people that I’ve drawn into my life. I have been able to help those same exact people in ways by coming into their life. All of which is a synchronicity and what we are directing our focus towards. In my case, it was healing and positive connections with others, and that is what I received when I was ready for it. If a person or event comes into your life when you need them, your intention is important since it could be someone that drags you down further, or someone who raises you up. Ultimately that’s up to your intention. You can still be filled with self-doubt, but if you are genuinely working on healing and are passionate about it, then those that can help, including events that may help, will come to you and it’s then up to you to take life up on the offer. If you have a negative intention, let’s say greed for example, then you may end up acquiring what you desire but then being immediately drug back down. Perhaps you get caught stealing or some other illegal activity and it drags you down. Or, another way it could work is internalized. What I mean is, you got away with your greedy intention, hoping it was going to make you feel better and happier, and all it did was make you more depressed. So what happens then if you miss an opportunity? Hey, it happens. Sometimes it’ll be a thing you are either not even aware that life is giving you the offer, or something simply you feel as though you are not ready for. If this happens, and there will be times that it does, I’ve personally found that there will be another opportunity. It may not be for a while, but something else will come up and you will be more prepared to act upon what life is giving you. Perhaps all along you were meant to pass by the first chance that presented itself so you could learn more and be more prepared for the second coming. Whatever the case, there is no need to feel ashamed or regret not taking life up on the offer since there is learning to be had. Even if the second chance were to not present itself, then take it as a lesson to be more assertive and driven to take up offers in a more reasonable, well thought out manner. So in conclusion, things will come into your life when you are ready for it. Sometimes we are not ready, think we are not ready, and even filled with doubt, which may certainly attract the very thing we are trying to resist. But, the way of attracting the right people and events is to primarily have a positive intention and goal of how you want to accomplish it. The right people will then come to you without you needing to search for them. Your effort is on accomplishing your goal, not looking for people to help you accomplish it. I hope this video was informative and helpful. Thanks for watching! I got the idea for this video when I heard someone comment asking what I meant when I said that the right person will come into my life when the time is right. I’ve said it countless times in my videos, yet never actually really talked about it. This video, despite it being more of a combined law of attraction and synchronicity video, was geared towards helping others understand what ‘when the time is right’ actually means and how to apply it.